After two weeks I am finally back with a quotable to get back into the grove here at Tea Journey. Loosing Shuuhei still is tough at times but the necklace I put together with my Mom has helped. This weeks quote I found within my Google Keep account and thought it suited the occasion. 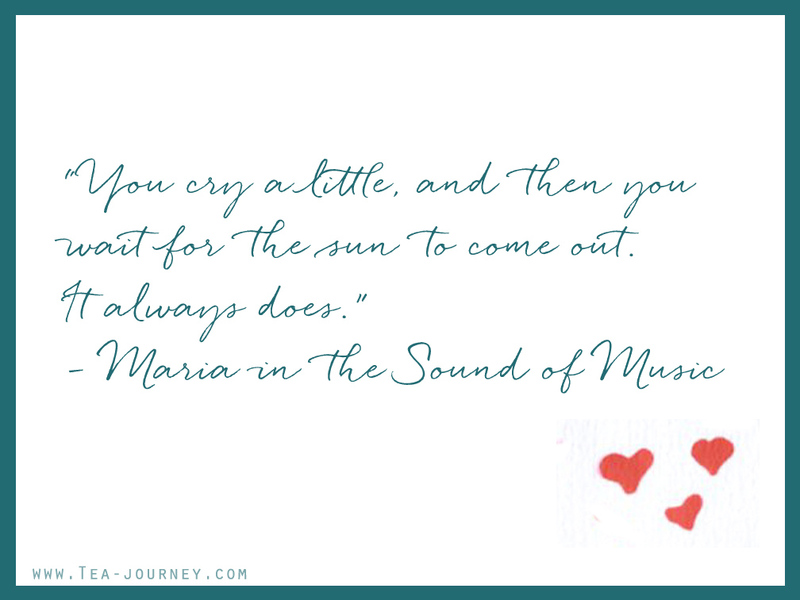 This quote was from The Sound of Music, Maria was asked what do you do if someone does not love you and replied with it. The situation is different but it sill applies for grief over any kind of loss. Love, family, job loss, stress, and even losing someone. When any of those things happen we always feel like its the end of life itself. Asking ourselves how can we go on and what should I do. We can not truly start to see the sun till we let ourselves cry a little. Bottling emotions is bad for the body and causes you more harm than the initial trigger. This weeks post is to everyone out there (past present and future) who are going though a tough time in their lives. My heart goes out to you all in hopes that you too see the sun when it comes out. And remember, it always does. If you are going through something right now (or have in the past), please feel free to share it. We are here for eachother, the internet lets us help eachother out in tough times. Let’s share the love and support for each other. Many blessings friends. Do you have a list of things you would love to do but never the “time” to do them? I have a little secret that will help you out, it’s called “Ritual Days”. The whole point of these is to intentionally set aside time (no excuses) to do things that make you happy and fulfilled. Pick something for every day of the week and make an effort to do them each day. They can be anything, even for achieving a dream while you work. For example if you want to be a musician then set days to play guitar, write lyrics, record or maybe even booking yourself some gigs at local bars. The options are endless. To give you a little inspiration here is my ritual days. Mondays tend to be sluggish so a little pampering helps get the week going. This day varies but the staple is a warm bath, face mask , moisturizer and a little massage. If my toe nail polish is chipped then its time for a home pedicure. Its my favorite day as I feel freshed up after, especially when I give myself a shoulder massage. Setting aside time to to create something new has helped me exercise my right brain thinking. Besides drawing and painting, it gives me time to knit and even decorate my planner. Spending time on creative outlets helps me stay grounded and happy. One of my favorite past times is learning, I try to go out of my way to take a class and read reputable books. With any type of learning there needs to be some dedicated time to study. Lately I have been learning what I can about entrepreneurship through a certificate program at the local college and strengthening skills I already have, such as photography. This is my no excuses day to create a little tea service for myself. Creating time for this allows me to continue practicing what I have already learned and create new set ups. 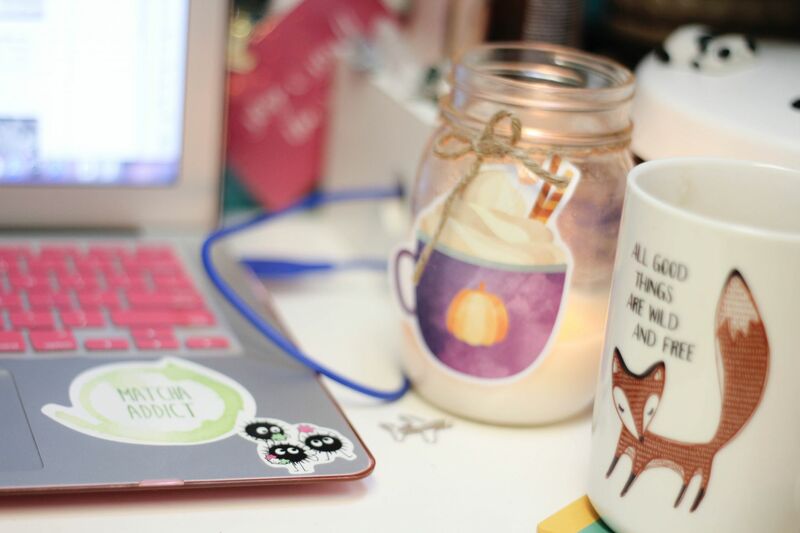 My absolutely favorite part is drinking tea in something other than a mug. With being an aries girl there are projects left half done. My way of solving this issue is this day. By the end of the day my goal is to have at least one thing done. Since I started this day, I have finished old knitting projects and even organized under my bed (it is a big game changer). After a long week a little cleaning is needed before the next starts. I aim to not only clean the physical form of my room but also cleanse it with incense. The spaces that get cleaned are not only my room but also other parts of the house (gotta help out when you live with your parents). It really makes spaces feel roomier and fresh after a good clean. I love ending the week on a good note, so a good yoga session is definitely needed. Ending the week with a long session of some type of meditation really refreshes the mind. Other than yoga I have also recited mantras (with a mala to count), served tea and read passages from “A Course in Miracles”. It varies but anything that helps me clear my mind is possible. 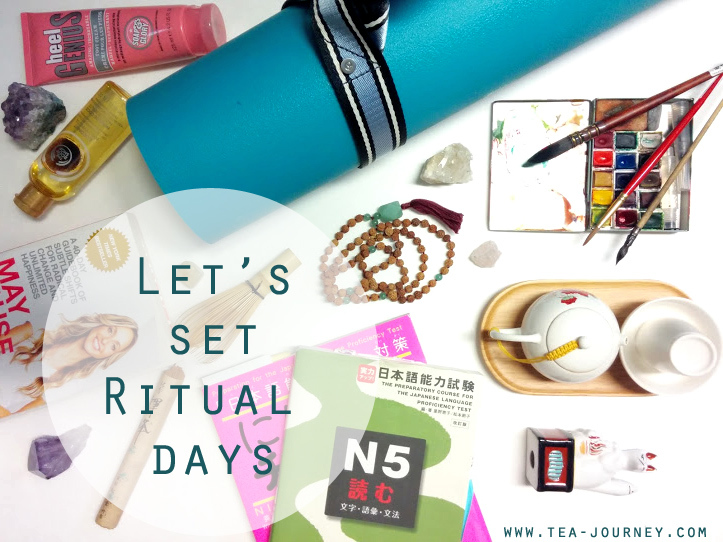 Do you have your own Ritual Days? Share them with us in the comments below. Finding an inner calmness and allowing yourself to be in the moment really puts a smile on your face. 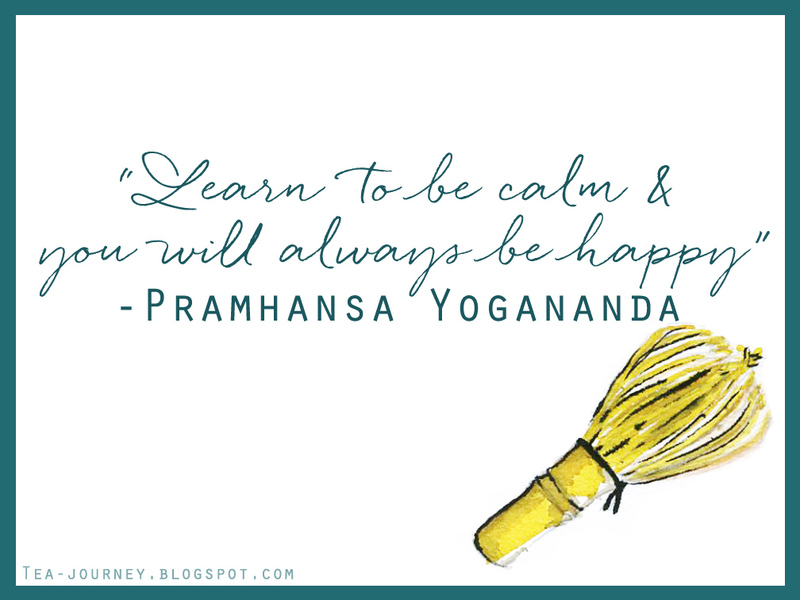 Learning to find that calmness, either through meditation (tea or even yoga), can bring you a happiness that seems unbelievable. This April will be the one year anniversary of my practicing yoga and trust me it still feels the same way. It’s also not just yoga, but also my tea and meditation practice that gives the same feeling. It is hard to not put a smile on my face. Finding something that helps you learn calmness is the key, and it can be anything that makes you feel that way. Perhaps it is running or even playing a sport (or video games even), as long as you take a moment to understand why it makes you calm. That in itself will help you be on your way to happiness. 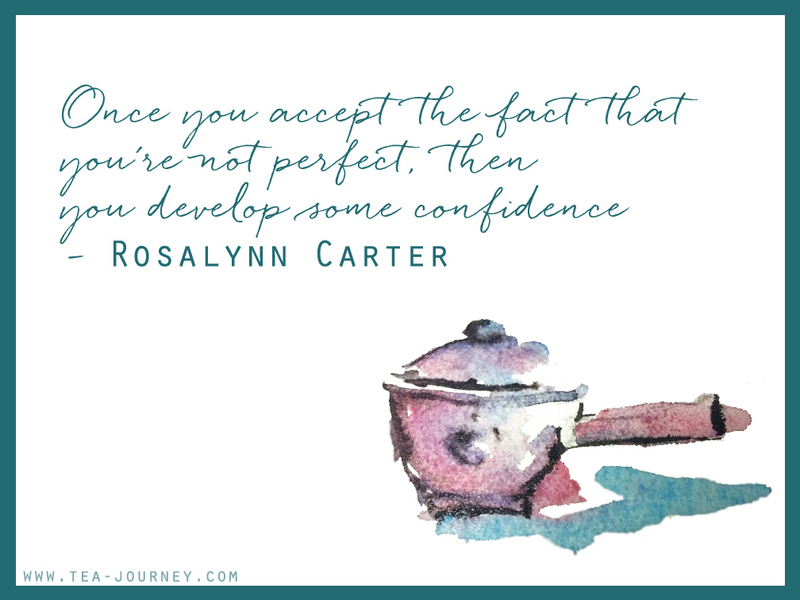 This weeks quote is about accepting yourself as you are. 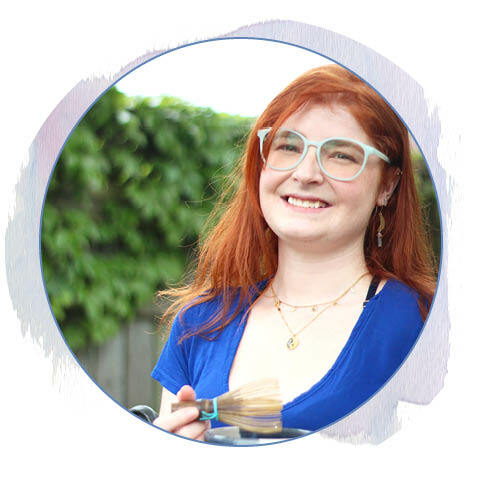 When the topic of self-acceptance comes up we tend to feel a little anxious (I’m feeling it). That is to be expected as it can be scary to go on that journey. It takes time and effort, but when we do get there it will help you become an even better version of yourself. We can be build it through practices such as yoga,meditation , tea and even art. Each of these offer you a chance to really experiment without the worry of making a mistake. You are instead given the freedom to experiment, and that is the beauty of these practices. Learning what works for you as you as you play and learn from your “happy mistakes”. Have fun, get messy and make mistakes! Its almost valentines day and it is also a great time to celebrate the relations around you. 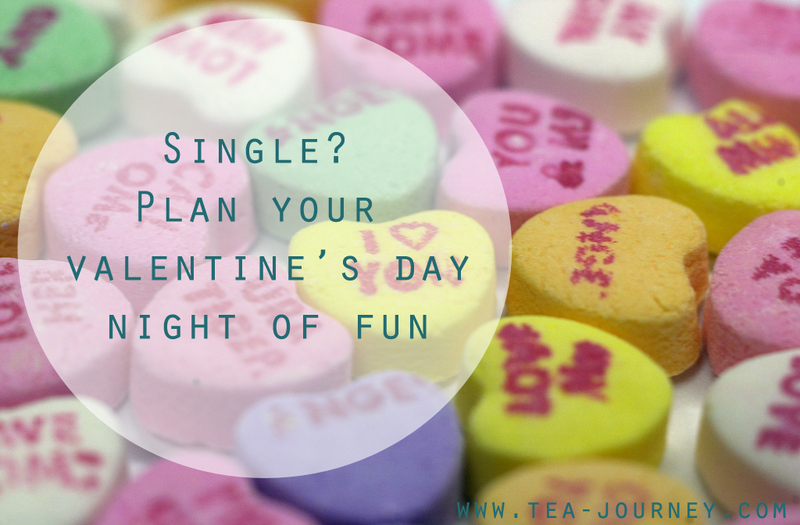 Focusing on family and friends lets celebrate being single and put good intentions out there. These intentions, by celebrating the good relationships, you can attract other good things in your life (maybe Mr. Right even). Lets make this a day where the rule is to not have pity on yourself for past relationships. Having fun instead is the key. So here are some ideas for your day whether it is a night in or out.